The Congress Monday downplayed the electoral defeat it suffered in Haryana and Maharashtra, saying such developments are part of the democratic process. "Winning and losing is part of democracy. Our party has always maintained that we should neither go overboard on victory nor despair on a defeat," Congress spokesperson Randeep Surjewala told the media here.He said there was no dissent as far as party vice-president Rahul Gandhi's leadership was concerned. "The faith of crores of Congress workers is in Rahul Gandhi. They have never had any doubt regarding his leadership." 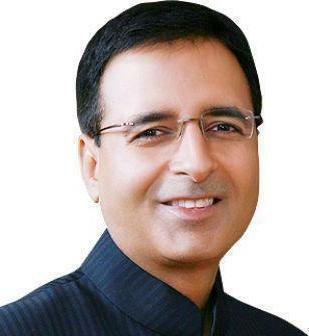 Surjewala said it was Priyanka Gandhi's personal decision to limit her political activity to only Amethi and Rae Bareli, the constituencies represented by her brother Rahul Gandhi and her mother and Congress president Sonia Gandhi respectively.Surjewala said the Congress fought a good election in Haryana, despite the BJP replacing it from power. "We fought a good election in Haryana. In that state no party had been voted to power consecutively for two terms, but we were successful in getting two consecutive mandates," he said.Surjewala said the Congress will "introspect" the poll outcome and reach out to "newer sections" wherever that was paramount or necessary.